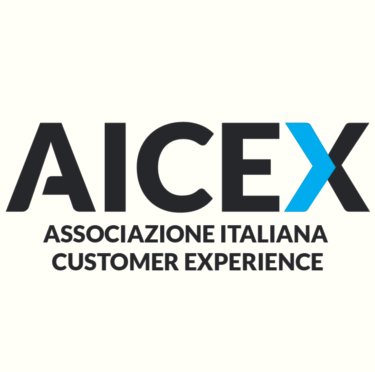 AICEX: tra 15 anni potremmo sempre dirvi “ve lo avevamo detto”. What can happen in 15 years? Disruptive forces can cause dramatic reversals. The retail and consumer-packaged-goods (CPG) sectors have seen such reversals in the past 15 years. In 2000, Kmart was the third-largest US retailer, with $36 billion in sales; by 2014, its annual revenues had declined by two-thirds. Over the same period, Amazon’s annual sales grew to $89 billion from about $2.8 billion. Alibaba, the market leader in China’s booming e-commerce business, was only a 15-year-old company when in 2014 it filed the largest IPO ever, valued at $25 billion. Anheuser-Busch was the world’s largest brewer in 2000; today, it no longer operates as an independent company, having been taken over by formerly smaller players. Rigorous cost reduction is an essential part of such an undertaking. The most disciplined companies make cost-structure improvements part of the annual strategic agenda, conduct detailed internal and external benchmarking, and instill a cost-conscious mind-set at all levels of the organization through individual targets and incentives. Many companies should seek to drive out at least 20 percent of operating costs, through initiatives such as lean transformations,5 outsourcing of business functions, or zero-base budgeting.6 It’s likely that ambitious cost programs—such as those recently undertaken by Best Buy and Levi Strauss & Co.—will become much more common. 2-How can we engage consumers in an ongoing dialogue? Are we paying enough attention to social media? Recent research proves yet again that social media has a strong influence on purchase decisions: across product categories, 26 percent of purchases on average were spurred by recommendations on social media.7 As smartphones get smarter and social networks become more sophisticated, it will become even easier for consumers to share their opinions about products and services. Companies can’t afford to ignore these conversations. They should consider investing in ways to listen in on—and, just as important, generate—social-media buzz. What new consumer touchpoints can we offer? Companies must meet consumers’ rising expectations for being able to buy what they want, when and how they want it—which means providing a seamless omnichannel experience. They must ensure that consumers have every opportunity to interact with the brand, be it through online or offline channels.9 For example, Nordstrom customers can buy products not just in stores and on the web, but also on a mobile app, on Instagram, or via text message—and they can pick up, return, or exchange their online purchases at Nordstrom stores. 3-Are we set up to reallocate resources swiftly and at scale? Indeed, research suggests that companies that more actively reallocate investments deliver, on average, 30 percent higher total returns to shareholders annually than companies with more static budgets.10 Yet agility in resource allocation is still rare. At most organizations, the current year’s allocation serves as the basis for the next year’s, with only marginal changes. 4-What strategic relationships should we seek out and nurture? 5-How can we use technology to differentiate, not just enable? Have we digitized both our front and back end? Companies must take a disciplined approach to thinking through and managing large digital initiatives.13 And they must digitize not only back-office functions, but consumer-facing functions as well. By 2030, we expect retailers will be able to create new retail “worlds”—virtual stores that use augmented reality to give customers the experience of walking down a store aisle, for instance, or personalization engines that link to real-time biometric data to recommend meals with optimal nutritional content. Are we advancing with analytics? To fully exploit data and analytics, companies must be able to choose and manage data from multiple sources, build models that turn the data into insights, and translate the insights into effective action.14 All this requires deep analytical skills that typically need to be brought in from outside. Companies must be willing to invest in new talent. We’ve found that a small but expert analytics team, equipped with cutting-edge tools, can accomplish much more than an army of unqualified employees.